Soft contact lenses were approved by the FDA in the 1970s, yet many myths about contact lenses persist. People have all kinds of incorrect ideas about the risks and even some interesting “benefits” to wearing contacts (no, wearing contact lenses won’t permanently correct your vision). Let’s bust the top contact lens myths right now. First, many people don’t try contacts because they think they will be uncomfortable. After all, how could it be comfortable to have something in your eye? Well, the beauty of soft contact lenses is that they are very flexible, thin, and practically weightless. After a few minutes, you shouldn’t feel your contacts at all. People new to contacts should be careful because sometimes they’re so comfortable, you forget you’re wearing them and fall asleep. Sleeping with contact lenses in is not recommended! Another contact lens myth is that they’re hard to put in. Not true! If you have a steady hand, a mirror, sink, and light, you’re in good shape. Ask your eye care professional to illustrate how to put in your contacts, then try taking them in and out a few times. Give yourself time to practice at home. If you are getting frustrated or finding that the method they showed you isn’t working, ask to watch a friend get their contacts in, or check out some videos online. There’s more than one way to put in and take out your contacts. As long as you’re washing and drying your hands, and following your eye doctor’s instructions for care, you can do it whichever way works for you. Maybe it’s because humans think mystery and danger lurk around every corner, but another popular contact lens myth is that your contacts can disappear behind your eyes. Unlike a plastic dolly with eyeballs floating around in her head, your eyes are firmly rooted to your brain and it is impossible for your contact to roll back behind your eye and into your head somewhere. The wonderful thing about the anatomy of your eyes is that there’s a thin membrane called the conjunctiva that lines the inside of the lids and then folds back and covers the white part of your eyeball. There’s no way a contact lens could slip between your eyeball and eye socket because the conjunctiva simply wouldn’t allow it. Popular culture can be blamed for this next myth: contacts fall out easily. Romantic comedies depict people with contacts falling out of their eyes all the time. 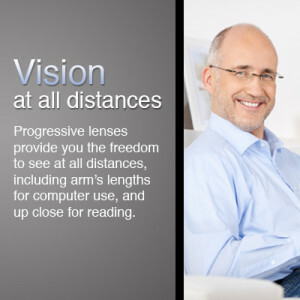 We can put your worries at ease and let you know that it’s very rare for contacts to fall out. If they’ve been properly fit and you’re not rubbing your eye, there’s almost no instance where your contact would slip off of your cornea. Don’t count on your contact to fall out as a way for you to meet someone interesting. Sorry! People also sometimes think that wearing contact lenses causes eye problems and worsens your prescription. While misuse and wearing your contacts for far longer than prescribed can cause issues, as long as you take care of your lenses and change them when instructed to do so, wearing contact lenses is totally safe and won’t worsen your prescription. Another common concern is that the contact lens can get permanently stuck in your eye. Although they can stick if your eye is dry, it is impossible for a contact to get permanently stuck. Even if your eyes become excessively dry, you can moisten your eye and remove the contact lens. Don’t lose sleep worrying if your contacts will become a permanent part of your eye! Finally, people with difficult prescriptions sometimes believe that they can’t wear contact lenses. While it is true that some people are unable to wear them, some unusual and extreme prescriptions can comfortably wear contact lenses. Due to advances in lens technology, there are many different types of contact lenses for a wide variety of eyes and people. Just ask your eye care professional if you have questions or are interested in getting contact lenses.